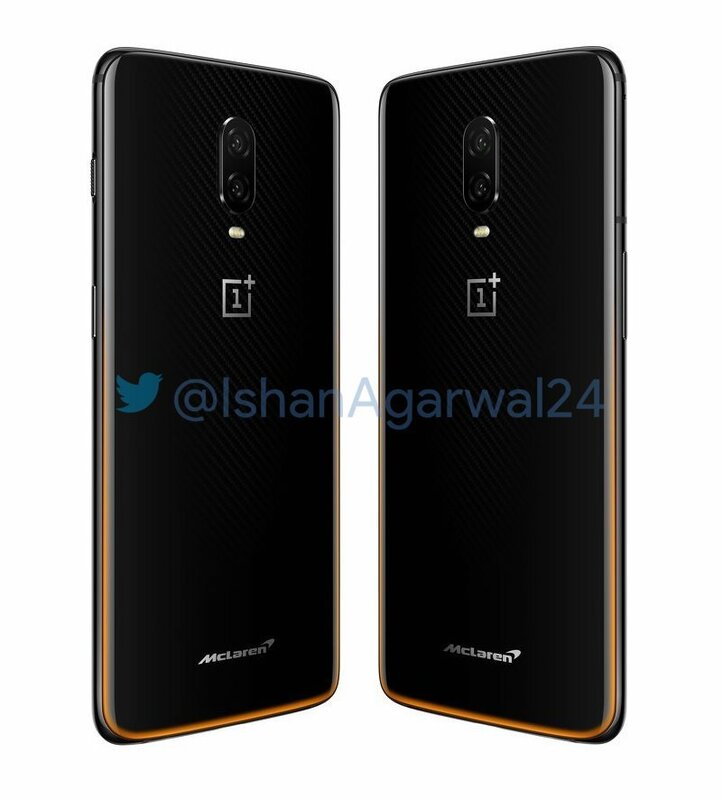 On December 11, the OnePlus 6T McLaren Edition will be launched, and this isn’t going to be any different than the normal OnePlus 6T regarding the overall design. The only major difference will be the new color and the highest end specifications that we have seen on any OnePlus phone till now. 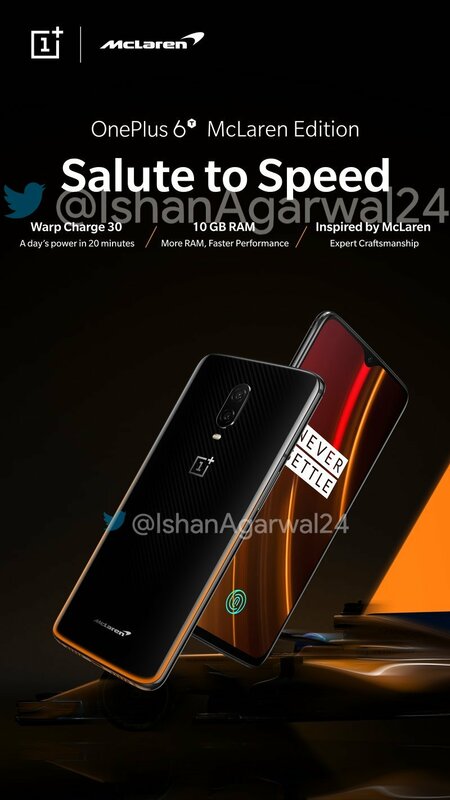 Today, the official press images of the phone leaked that revealed the new “Speed Orange” color and also confirmed one of the much-hyped feature, the Warp Charge. 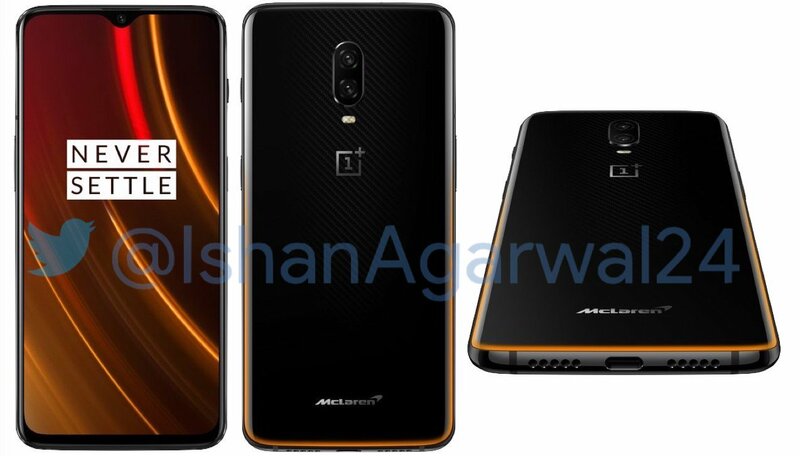 So, the OnePlus 6T McLaren Edition has a Carbon Fiber finish under the rear glass panel, and we can also see the ‘McLaren’ logo on the bottom. There is an Orange hue on the sides that looks dope. 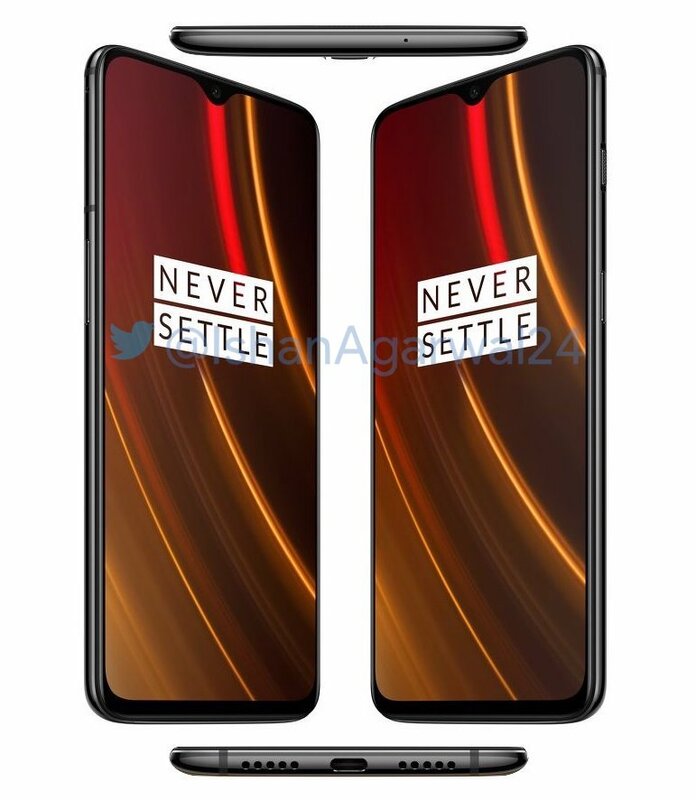 Rest of the design remains the same as the normal OnePlus 6T. The phone has the all-new Warp Charge that, according to OnePlus, will give a day’s power in just 20 minutes. There are rumors that Warp Charge will be similar to Oppo’s Super VOOC so, expect to see a 50W Fast Charging. That would be insane! Also, the phone has a humongous 10GB of RAM, and we just cannot say anything about it right now since adding more RAM doesn’t always mean better performance. It was good till 6GB, but 8GB and 10GB RAM simply seem an overkill. What do you think of having 10GB RAM in a smartphone? Do let us know via the comments section.